A. NO! 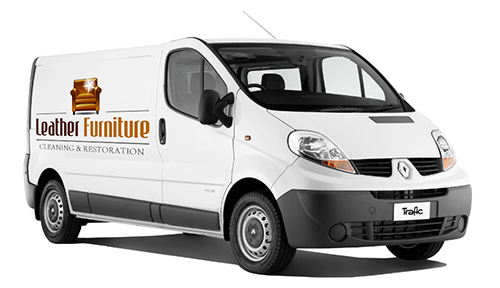 We can help you move portable items like chairs, tables, lounge suites, and beds on casters, HOWEVER we are NOT responsible for any damages that may occur to your furniture or any other items while moving it as that is your own responsbility to do so. We don't move wall units, or anything with breakable items in or on it, and we can't move electronic equipment. Q. Will all stains be removed? A. Our technicians are highly trained professionals. They use a special range of cleaning solutions. However, some stains may have set, which means they could be permanent. So we can't guarantee to remove every stain. A. 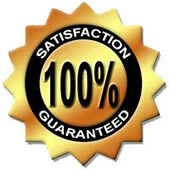 We guarantee to make you happy with our work. And We guarantee not to damage your Leather. Q. How often should Leather be professionally cleaned? A. All residential Leather should be professionally cleaned a minimum of every 12 to 18 months AND as soon as possible after the Leather has been heavily soiled or stained. Prompt attention by a professional will provide the correct treatment and best results. Q. Will leather cleaning destroy the stain-resist treatment? A. It is prefered to re-apply leather conditioner after every cleaning service, depending on how frequently the Leather is cleaned. Q. Can the items be used right after they have been cleaned? A. In most cases, the Leather should be completely dry within 2 to 4 hours (depending on the humidity and air flow). Q. Is it possible to clean Leather too often? No. Frequent cleaning of the leather will help keep maintain its original appearance. Q. I have old stains on my Leather, can you remove them? Q. Do you dye leather? A. Usually we will able to give you an indication of the cost over the phone / internet. This should be considered as an estimate only, to be confirmed upon a site visit. When we arrive to look at your job we will give you a free, no obligation estimate before we start any work. If this estimate is acceptable we will in most cases get on with the work there and then.